Radford University Undergraduate Catalog 2013-2014, Volume 97, is prepared by the Office of the Registrar, P.O. Box 6904, Radford University, Radford, VA. Students who matriculate at Radford University at the beginning of the 2013-2014 academic year will use the 2013-2014 Radford University Undergraduate Catalog for the official description of polices they must follow and requirements they must satisfy in order to graduate. Students may, however, elect to follow the curriculum requirements of a Radford University Undergraduate Catalog published subsequent to the year of their matriculation subject to the limitations detailed in the “Graduation Policy .” Radford University reserves for itself and its departments the right to withdraw or change the announcements in this catalog. The student must become familiar with the academic policies, curriculum requirements and associated deadlines posted in this catalog, which is available in both paper and electronic versions. The academic advisor will advise the student on all matters related to his/her program of study and will aid the student in the interpretation of policies whenever necessary. However, it is ultimately the student’s responsibility to be cognizant of and comply with all university policies and procedures and to meet all stated requirements for the degree. It is also the student’s responsibility to frequently monitor campus email and the university Web portal, as these electronic means of communication have replaced mass mailings as the university’s most effective and efficient ways to disseminate important information to the campus community. Failure to read official emails and university Web portal communications in a timely manner does not relieve students from their responsibility to take appropriate action(s) on the information contained in them. For information about Radford University’s extensive technology services available free to all students, see Technology Services . The Radford University Honor Pledge provides the foundation for a university community in which freedom, trust and respect can prevail. 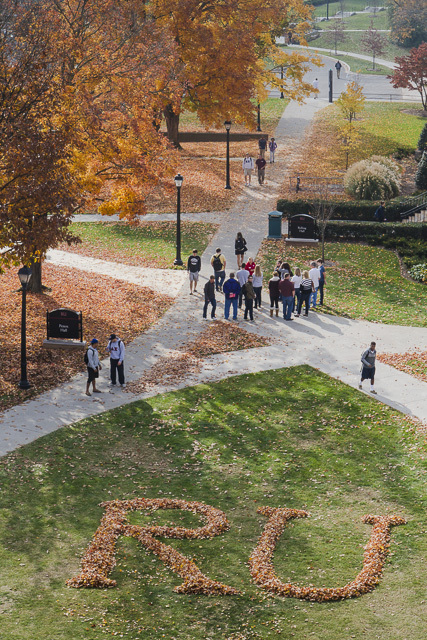 In accepting admission to Radford University, each student makes a commitment to support and uphold the Honor Code without compromise or exception. The Honor Pledge: I shall uphold the values and ideals of Radford University by engaging in responsible behavior and striving always to be accountable for my actions while holding myself and others to the highest moral and ethical standards of academic integrity and good citizenship as defined in the Standards of Student Conduct.